Data storage requirements have seen an exponential increase over the last several years. Both cloud and local storage requirements continue to be served by hard drives where workloads are either largely sequential or not performance sensitive. While the advancements in storage capacity have primarily served the interests of datacenters (enabling more storage capacity per rack), the products have trickled down to consumers in the form of drives for NAS (network-attached storage) units and pre-installed in external / DAS (direct-attached storage) enclosures. Seagate is the only one of the three hard drive vendors to target the desktop storage market with their highest capacity drives. We looked at the 10TB BarraCuda Pro drive last year, and the 12TB follow-up was launched last month. 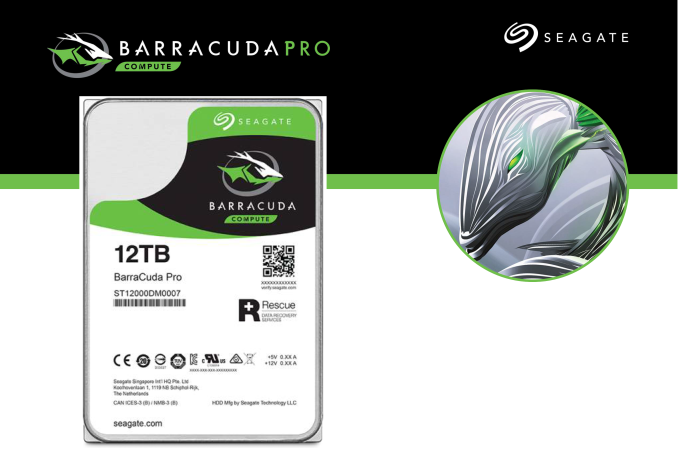 The Seagate BarraCuda Pro 12TB is a 7200RPM SATAIII (6 Gbps) hard drive with a 256MB multi-segmented DRAM cache. It features eight PMR platters with a 923 Gb/in2 areal density in a sealed enclosure filled with helium. According to Seagate, it typically draws around 7.8W, making it one of the most power efficient high-capacity 3.5" hard drives in the market. It targets creative professionals with high-performance desktops, home servers and/or direct-attached storage units. It is meant for 24x7 usage (unlike traditional desktop-class hard drives) and carries a workload rating of 300TB/year, backed by a 5-year warranty. It also comes with a bundled data-recovery service (available for 2 years from date of purchase). The various aspects of the drive are summarized in the table below. Note that the weight has increased compared to the 10TB drive introduced last year. While the 10TB version had seven platters, the 12TB one bumps it up to eight. 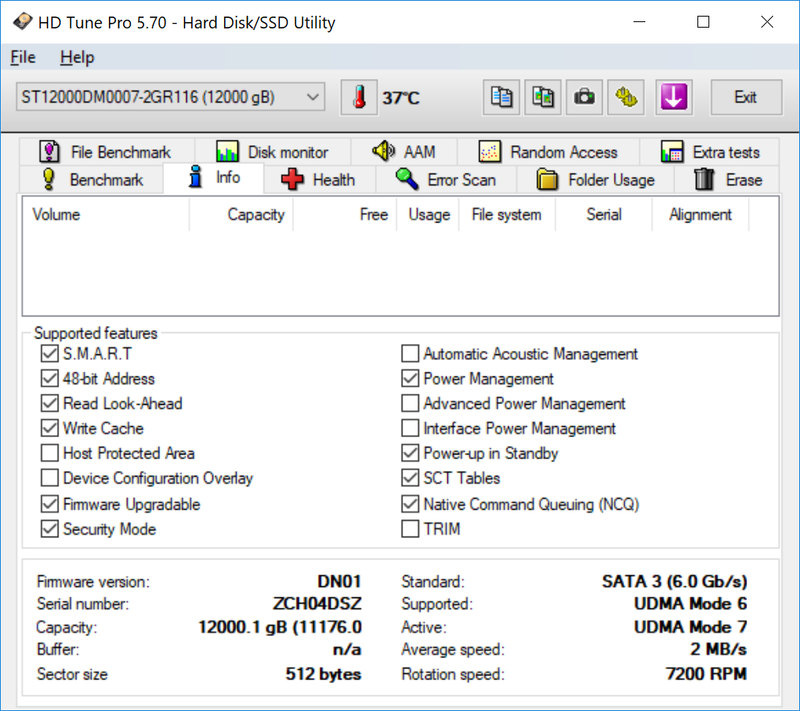 A high-level overview of the various supported SATA features is provided by HD Tune Pro, and shows support for common mechanical features such as NCQ. That is why RAID was invented and backup should be routine.